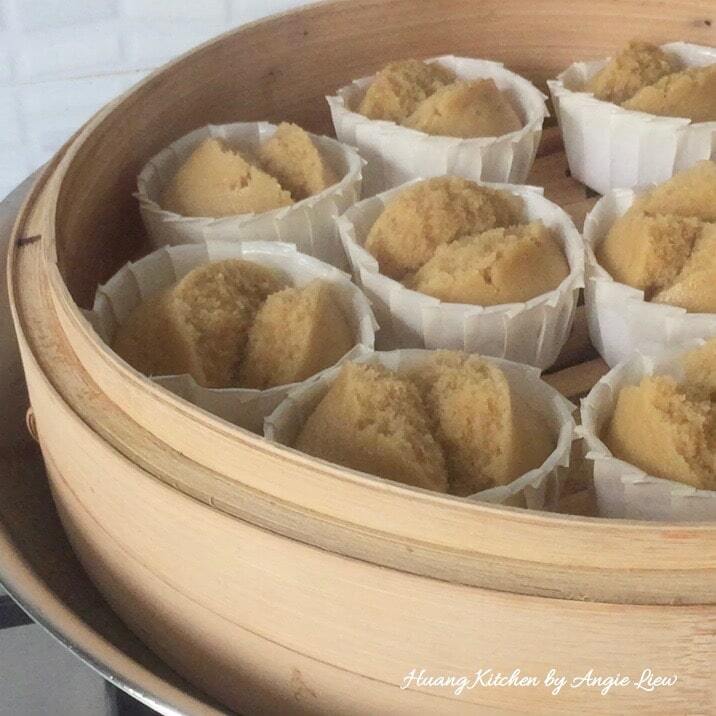 This recipe for steamed Palm Sugar Steamed Muffins (Fatt Koh / Huat Kueh) is most appropriate to make for the fast approaching Chinese New Year. Why? 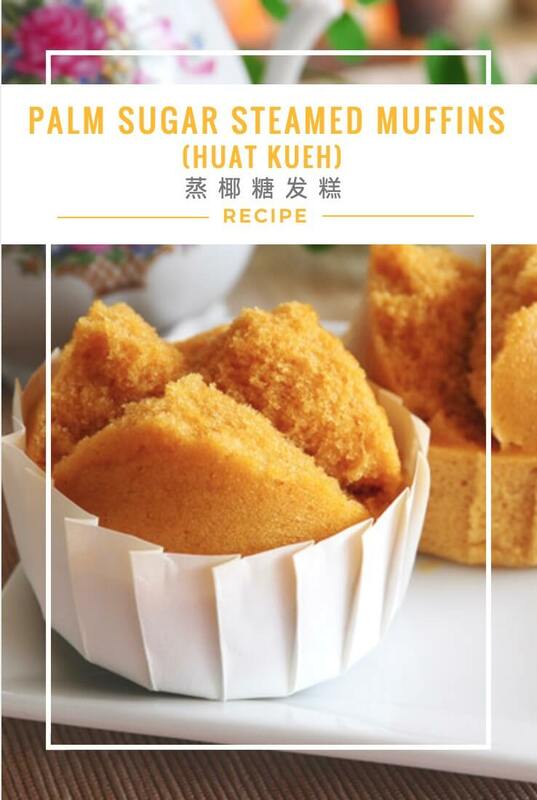 It’s because these yummy and beautiful to look at Huat Kueh are actually called Prosperity Cakes. 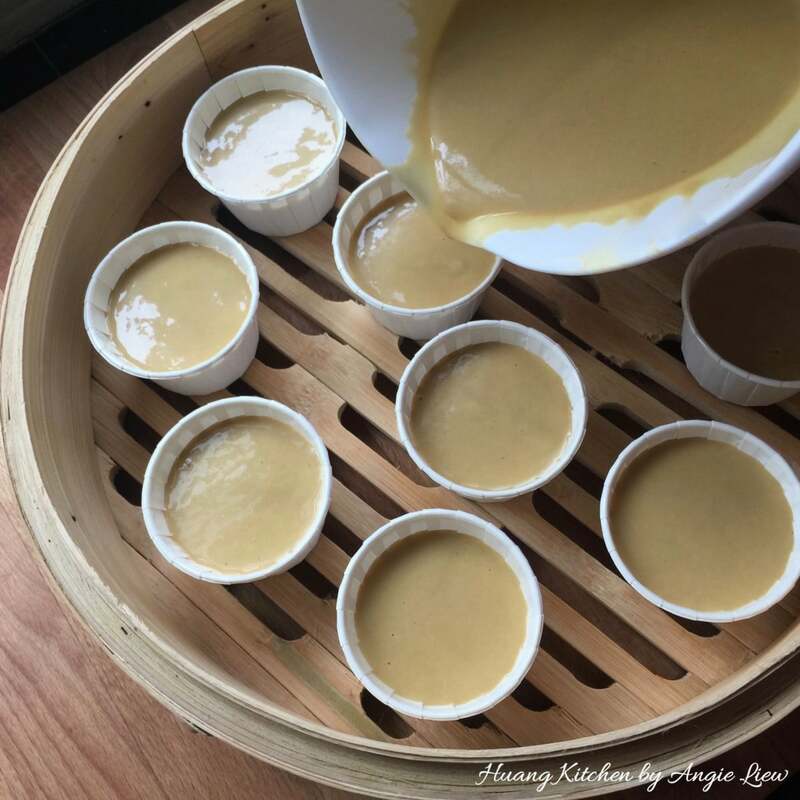 It has always been the Chinese new year tradition to either make or buy Fatt Koh for the family on this auspicious day as they signify an abundance of good luck and prosperity for the family in EVERY way. 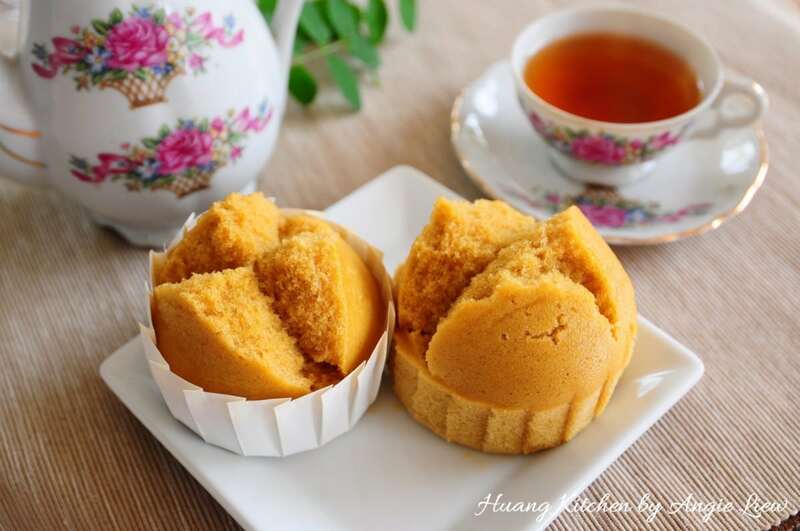 This is a very easy homemade steamed cake recipe and it works so well with palm sugar, also known as Gula Melaka. It is one of the nostalgia foods that brings back happy and fond memories and its a favourite for the old and young alike. It has a soft texture, it’s moist and has a fragrant smoky aroma. 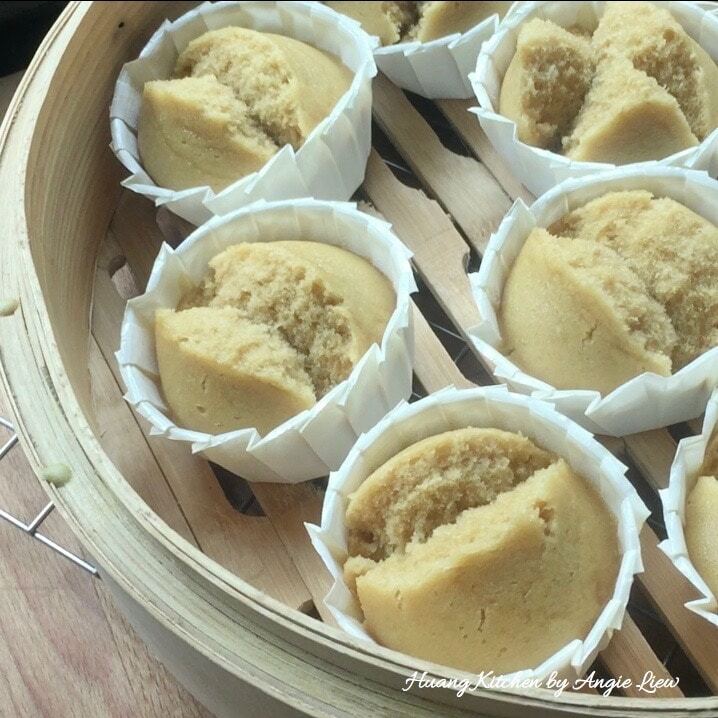 The natural sweetness of the palm sugar blends so well into the flour mixture and gives these steamed cakes a beautiful golden brown colour. They do not just look amazing, they taste heavenly too! 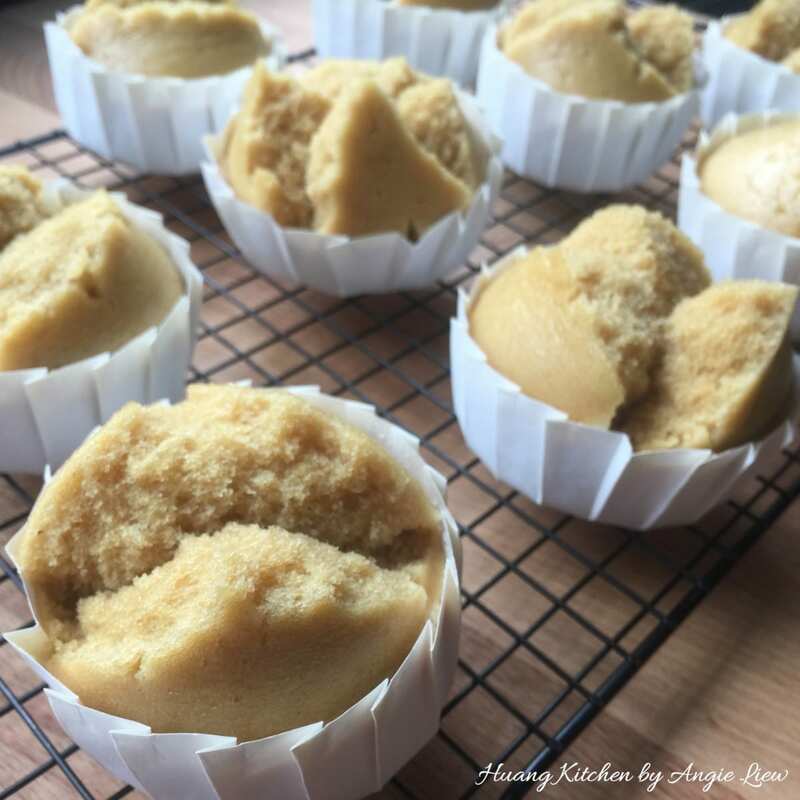 A super easy steamed cake recipe and it works so well with palm sugar! Amazing soft texture, so moist and it has a fragrant smoky aroma. This is one of the nostalgia foods that brings back memories and simply a favourite for the old and young alike. 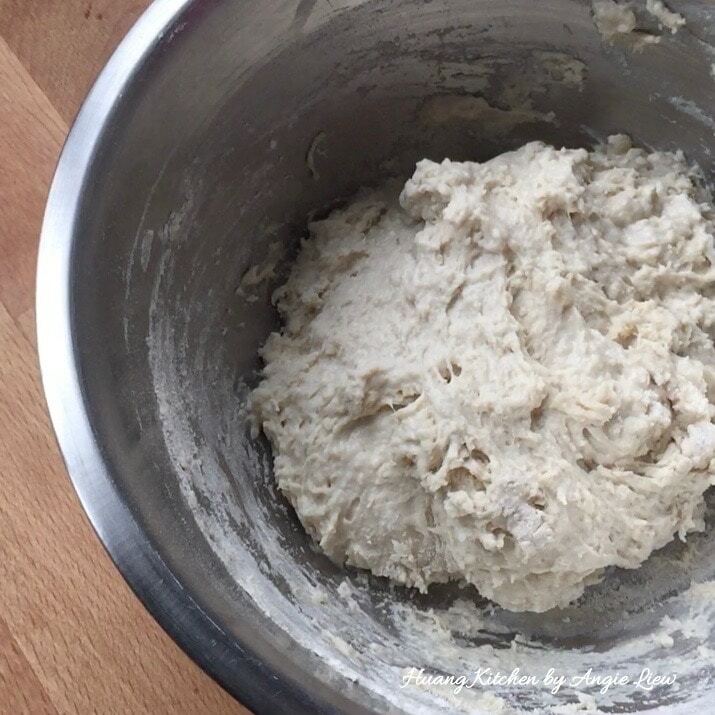 In a large mixing bowl, mix all-purpose flour, instant yeast and sugar. Then, add in lukewarm water and mix well. Cover with cling wrap and set aside to ferment for 12 hours. After 12 hours, the yeast mixture is ready to be used. Wash, rinse and knot pandan leaves. 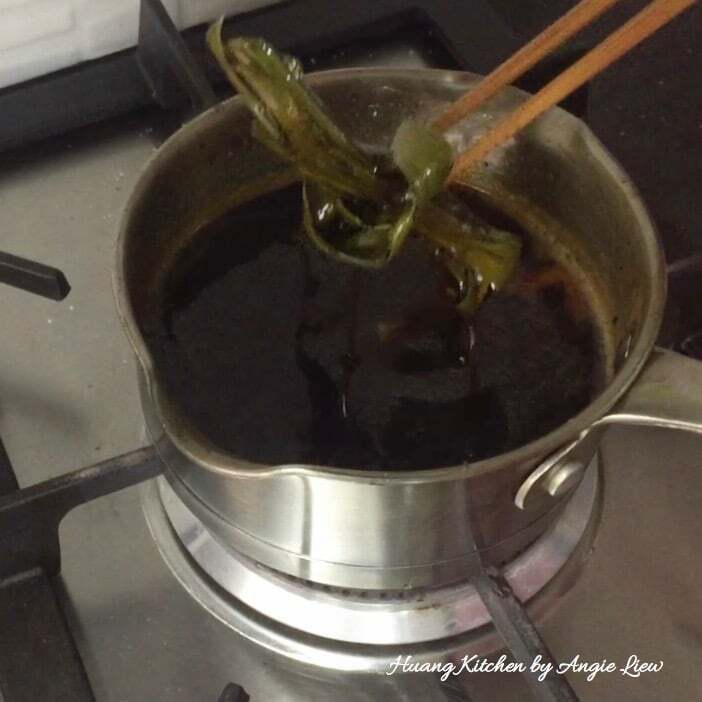 Put sugar, palm sugar, knotted pandan leaves and water in a pot. 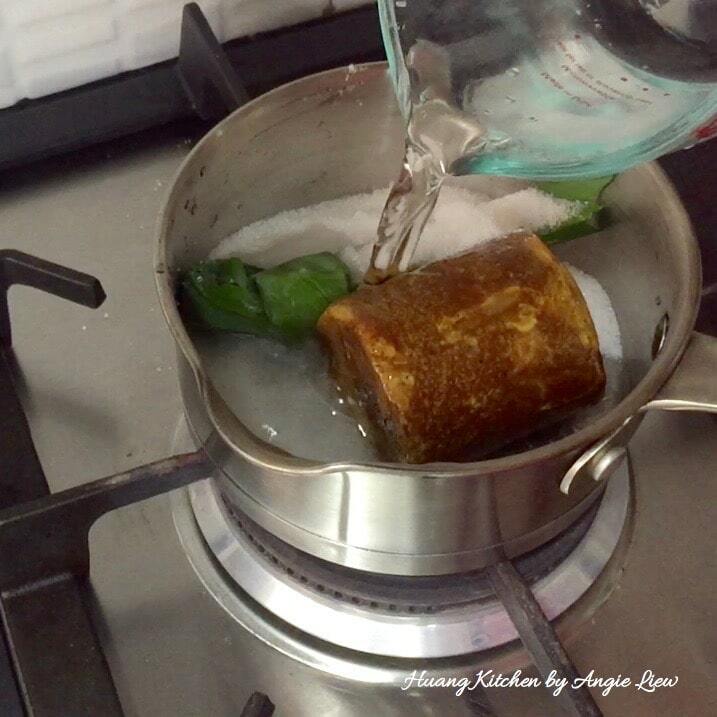 Bring to a boil till palm sugar is melted. Stir occasionally. 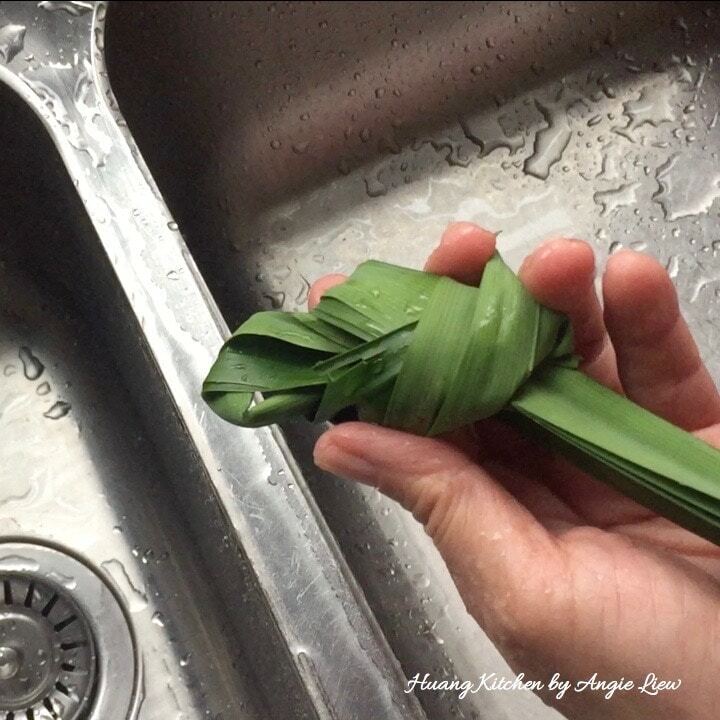 Then, remove the pandan leaves. Strain and set aside to cool to room temperature. 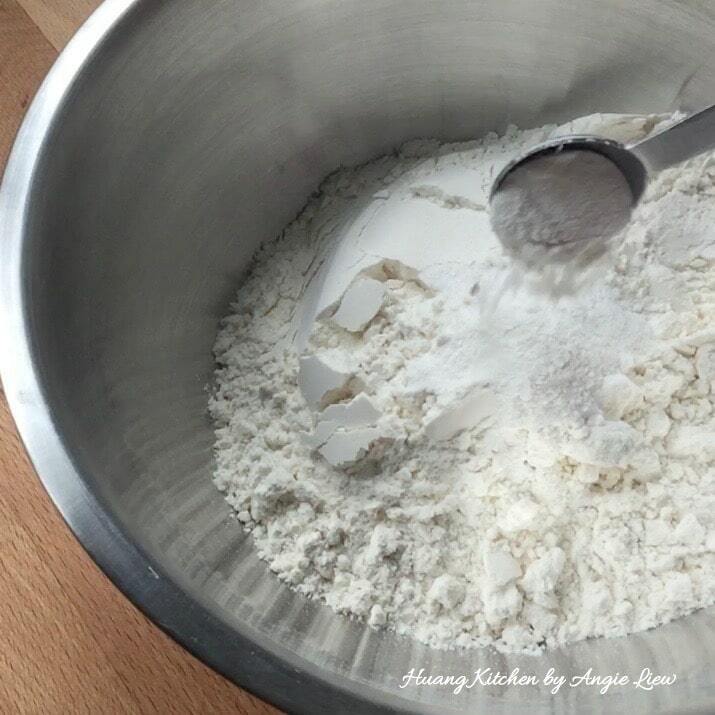 In a medium size mixing bowl, mix well sifted all-purpose flour and double action baking powder. Then, add in thick coconut milk. Whisk till well combined. And we're ready to make palm sugar fatt koh. 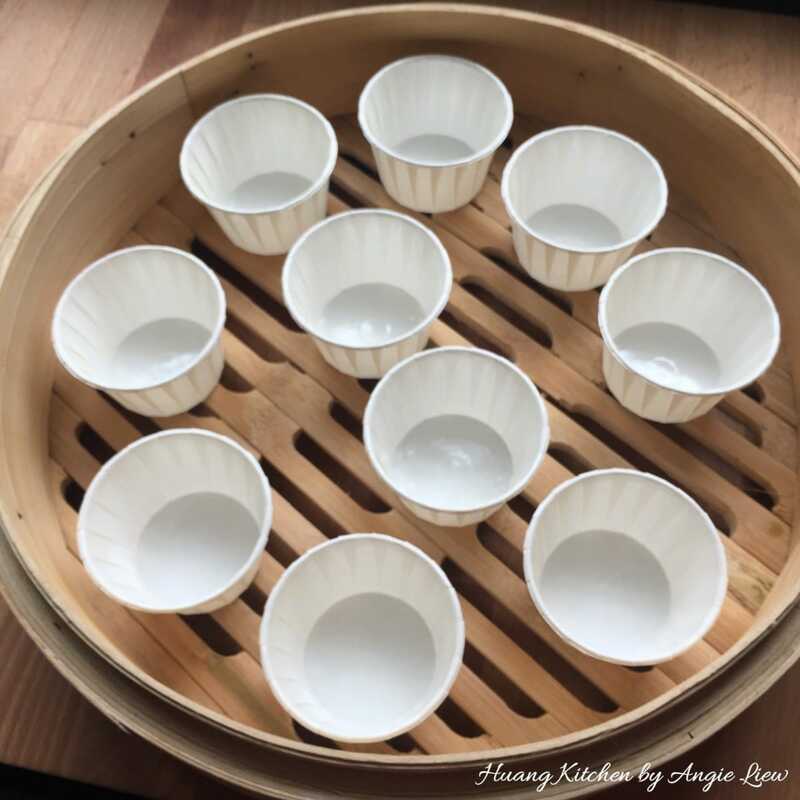 First, arrange paper cups in bamboo steamer. 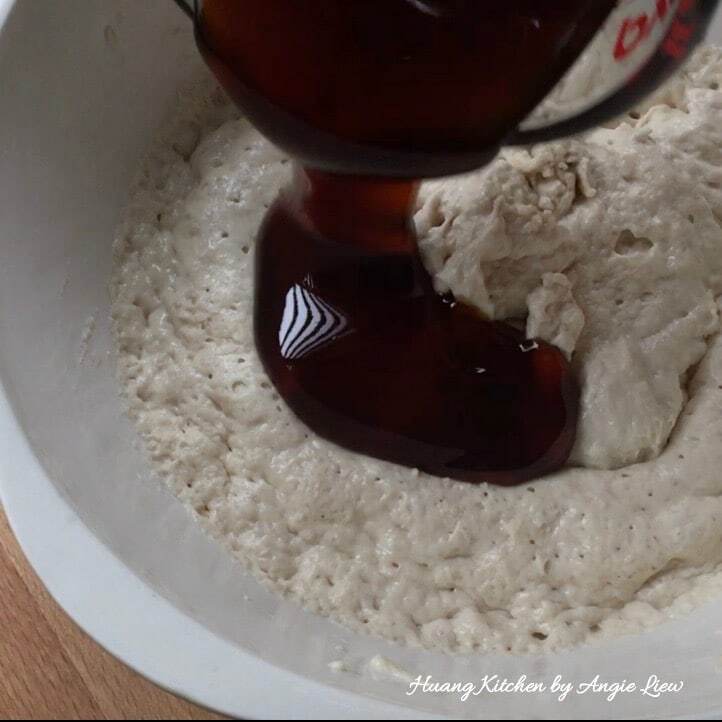 In a mixing bowl, add palm sugar syrup and flour mixture into the fermented yeast mixture. 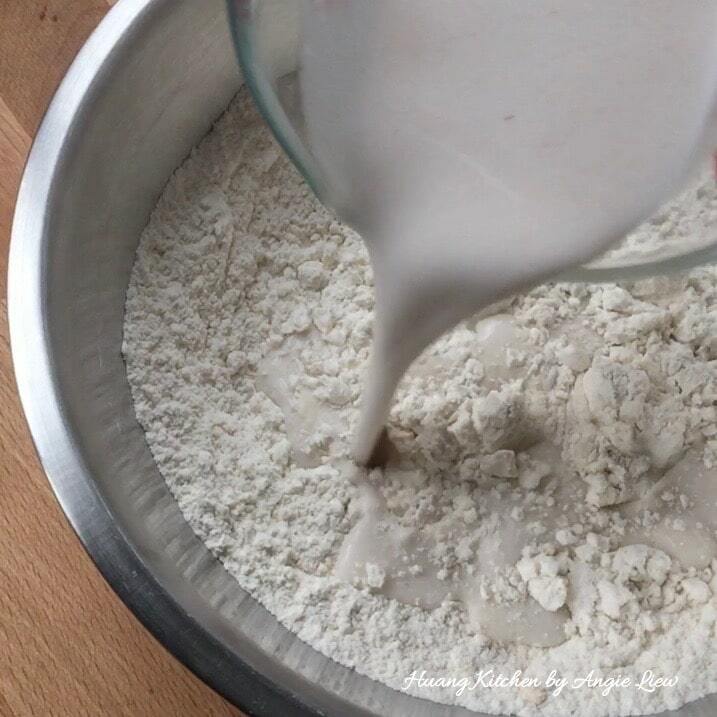 Whisk to mix well, till a thick smooth batter is formed. 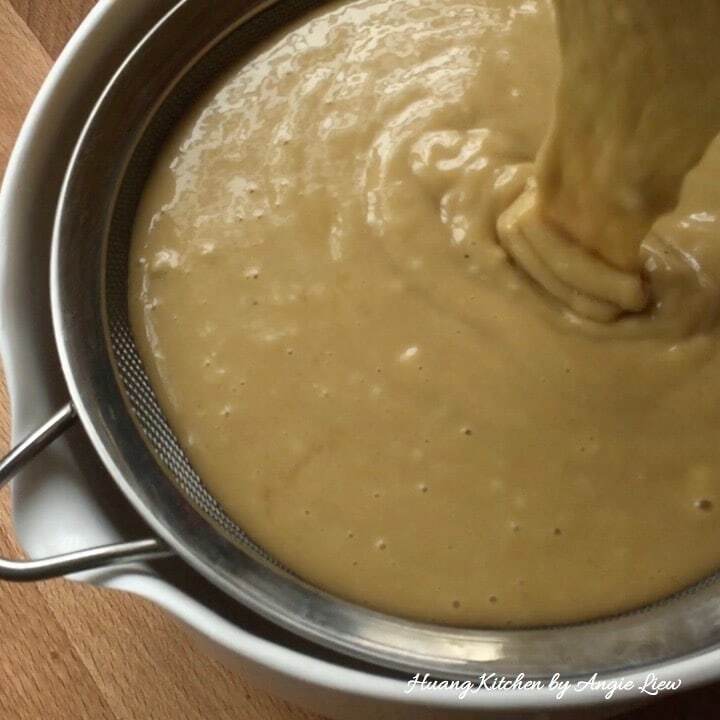 Strain batter into a large measuring cup. This makes it easier to pour into cupcake moulds. Pour strained batter into cupcake moulds, until 3/4 full. Bring water to a boil in steamer. 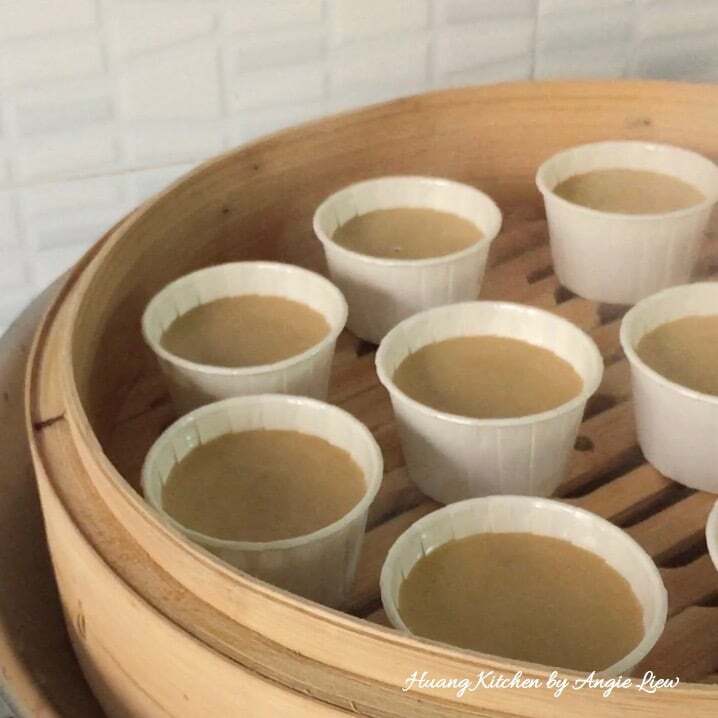 Place bamboo steamer over the boiling water in steamer. Cover and steam over HIGH heat, for about 20 minutes. And we're done! 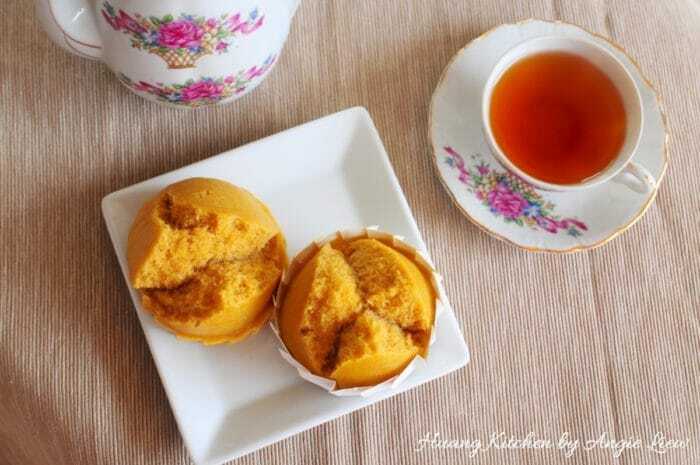 If steamed muffins are done, a toothpick inserted in centre will come out clean. Remove bamboo steamer from heat. Then, remove steamed muffins to cool completely on wire rack or serve immediately while hot. As always, ENJOY! More pandan leaves may be used for more fragrance. 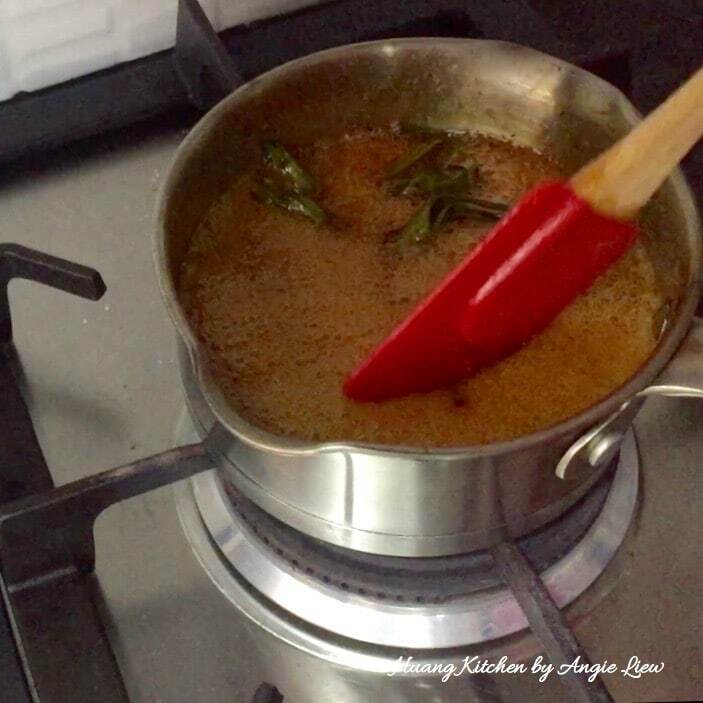 Be sure to use concentrated undiluted thick coconut milk and palm sugar for better flavour. To ensure proper rising and for "smiling" fatt koh (cracked open effect), use moulds where the height is greater than the diameter. Choose moulds with almost similar top and base diameter. Make sure the palm sugar syrup has cooled down to room temperature before adding in to mixture to avoid killing the yeast. It is very important not to open the cover during the steaming process. If more water needs to be added into the steamer, just pour in slowly through the side of the cover.